With President Trump executing missile strikes in Syria and radical Islamic terrorism being as big a threat as it ever has been, we need to understand how these oppressive regimes and extremist ideologies got started and empowered. 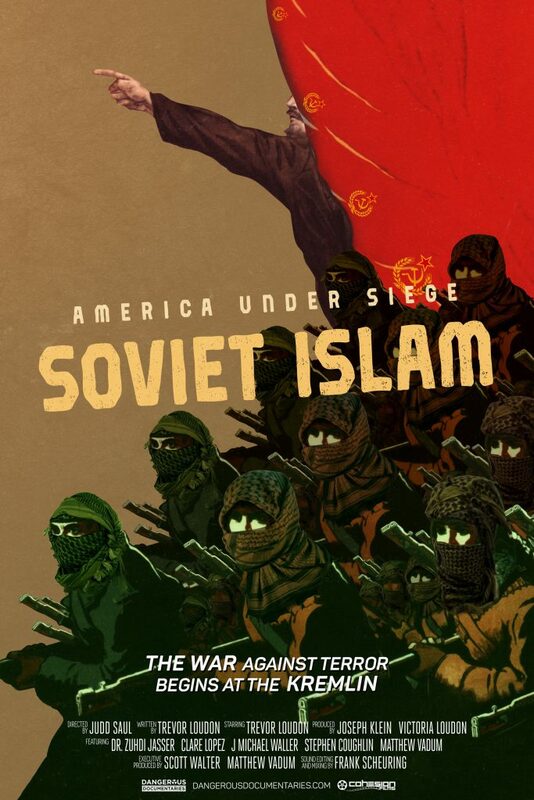 Working with Dangerous Documentaries, director Judd Saul and conservative commentator Trevor Loudon have compiled a team of researchers who have uncovered the history of the Soviet Union’s meddling in Middle Eastern politics, creating a new enemy for the United States, and learned that Russia’s continuing alliance with Islamists is forwarding a radical domestic threat in America today. Soviet Islam is the second episode in the America Under Siege documentary web-series releasing over the course of 2017. Each episode profiles the influence of radical Marxists on various segments of American society. The first episode in the series was Civil War 2017. America is under siege. Radicals with ties to Russia, North Korea, Iran, Venezuela, and Cuba seek socialism and the collapse of our social order. To learn more about the threat to America, keep updated with the 5-part series and get our indepth investigative journalism by signing up for our email list. © 2019, all rights reserved. Dangerous Documentaries is a project of the Capital Research Center.